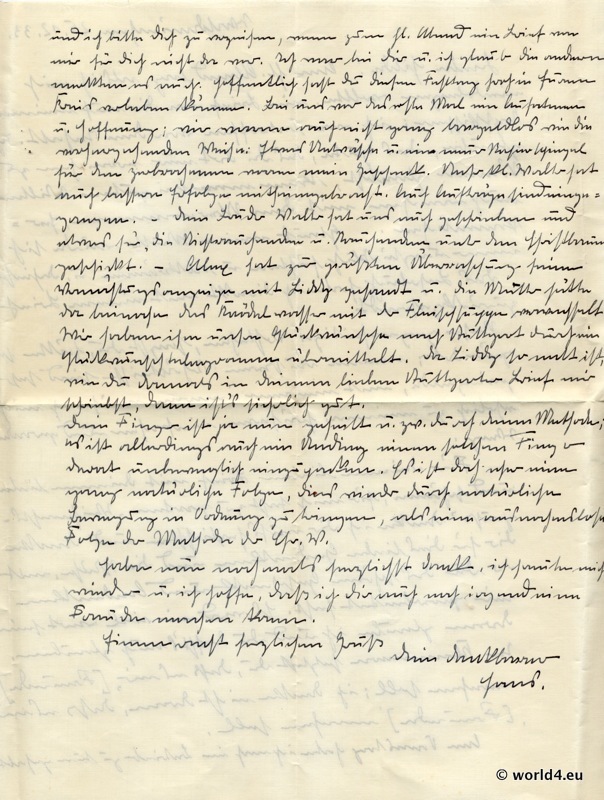 Home » Calligraphy » Handwritten Sütterlin letter from the year 1933. 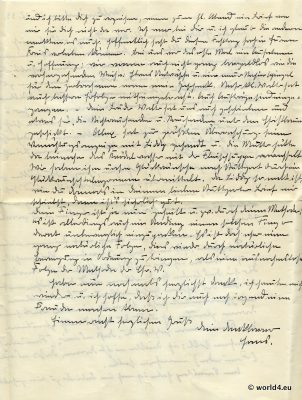 Handwritten Sütterlin letter from the year 1933. 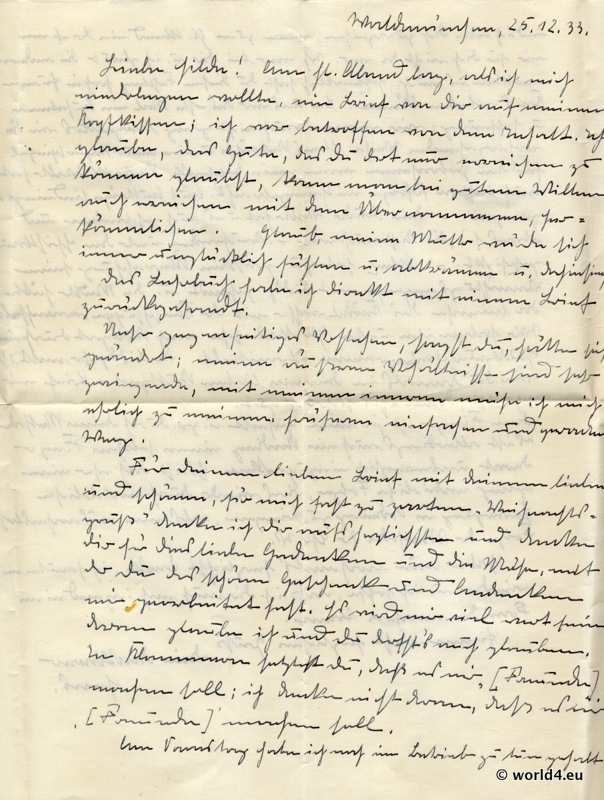 Handwritten Sütterlin letter from the year 1933. German Empire. 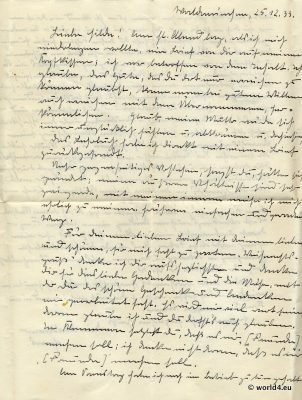 The Sütterlin writings, usually called simply Sütterlin, are developed in 1911 commissioned by the Prussian Cultural and Education Ministry, by Ludwig Sütterl in Kurrent fonts. In addition to the German Sütterlin fonts that represents a special form of German cursive, Ludwig Sütterlin also developed a stylistically comparable Latin cursive alphabet. The German Sütterlin font was introduced in Prussia from 1915th. She began in the 1920s to replace the German cursive and in 1935 in a modified form (slightly, with less circular shapes) as a German folk signature part of the official curriculum. As a result of the signature decree however led to its prohibition by a circular of the NSDAP on 1 September 1941. Previous PostMother and child. Art Nouveau era. German Empire. Next PostDesign for Living room.